One of the biggest challenges when prototyping is just keeping everything in place. 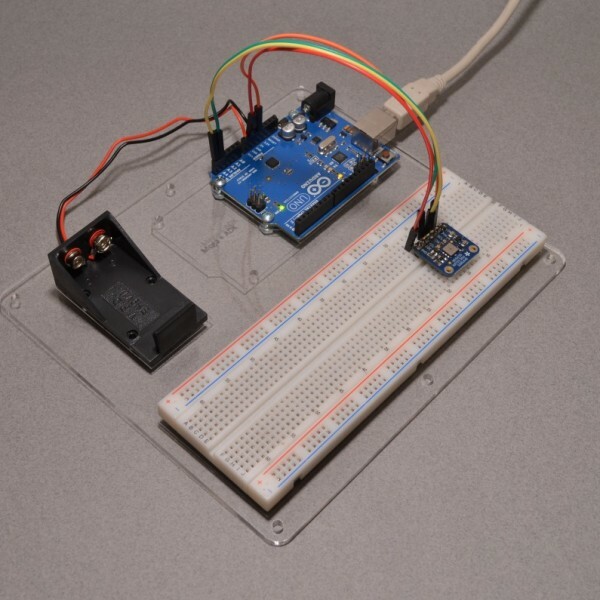 Often the spring of the hook-up wires is enough to lift small sensors or slide your Arduino and breadboard away from each other on the bench – hardly secure for testing. 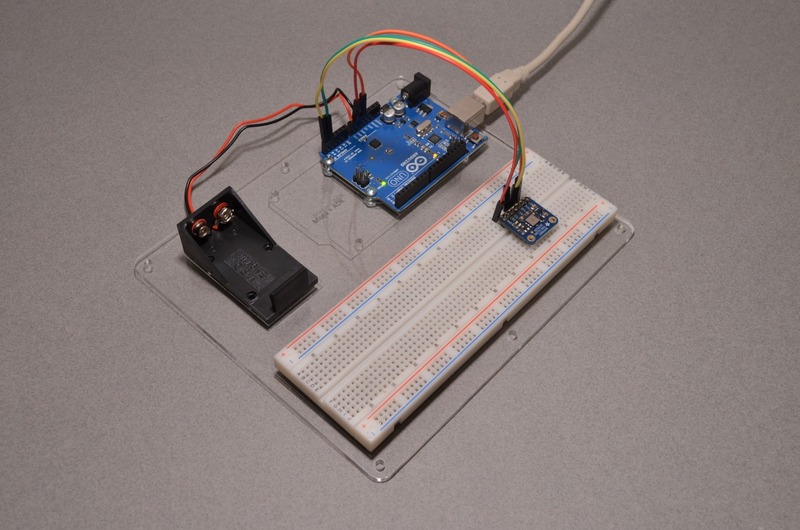 This prototyping plate aims to solve the problem! 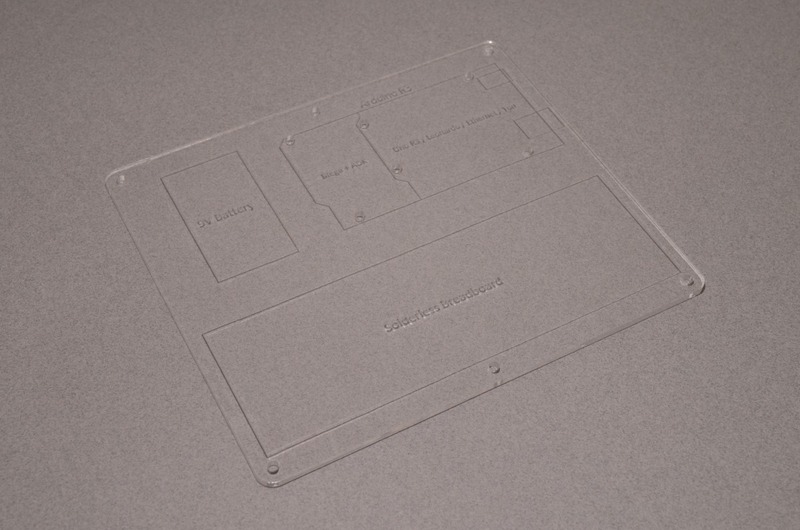 The plate is produced in house at BC Robotics from laser cut 1/8″ acrylic. It has 6 perimeter mounting holes as well as plenty of space for the included adhesive rubber feet – this should keep your project where you want it! 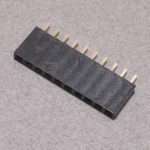 There are also 6 mounting holes for Arduino – the plate can accommodate all standard R3 footprint Arduinos (Uno, Leonardo, Ethernet, and Yun) as well as the larger Mega, MegaADK, and Due. 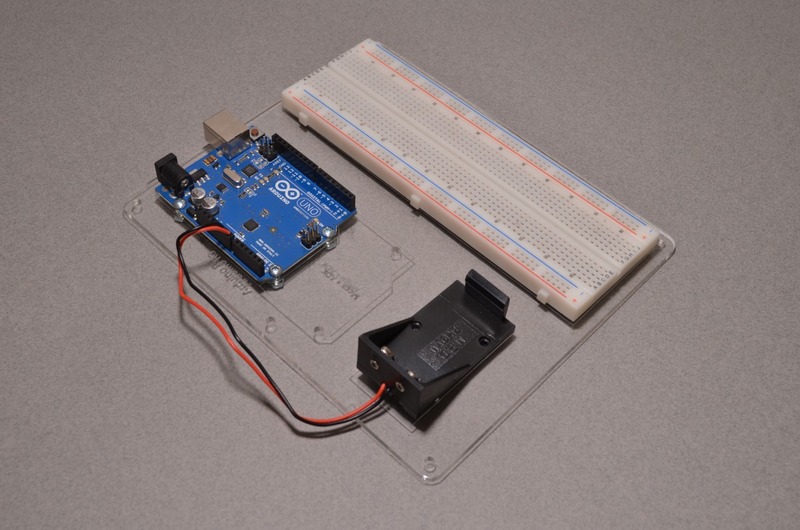 Next to the Arduino, a Large Solderless breadboard (not included) can be mounted using its adhesive backing. 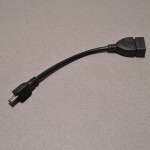 There is also space below for a battery pack. 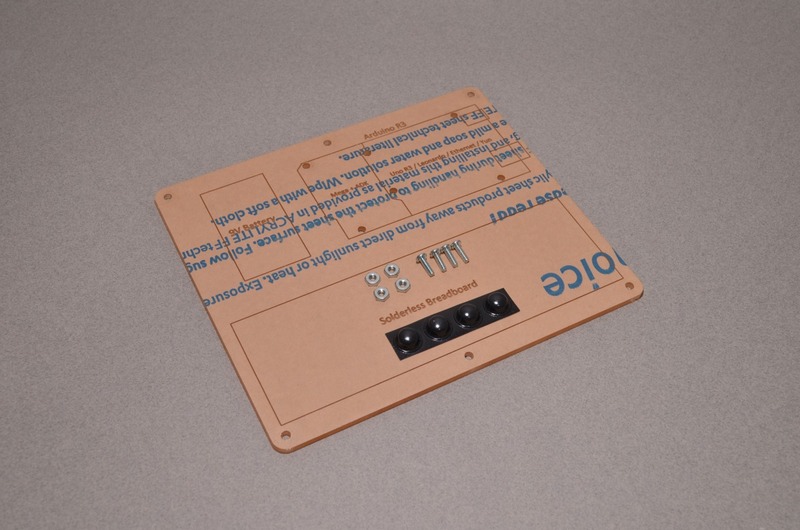 Each kit includes the plate, 4/40 x 3/8″ machine screws, 4/40 nuts, and a set of adhesive rubber feet. SKU: PROTO-026. Categories: Accessories, Mounting Plates. 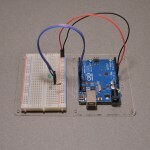 Tags: Arduino, BC Robotics, Light Packet, Mounting Plate.